Have a question for Gomangnandol Pension? Conveniently located in Jeju Island, Gomangnandol Pension is a great base from which to explore this vibrant city. From here, guests can enjoy easy access to all that the lively city has to offer. 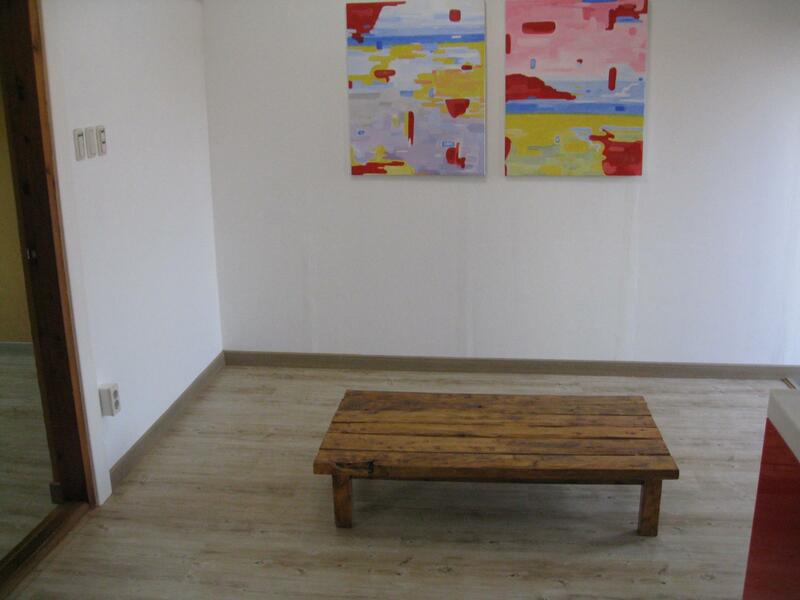 For those of you who want to venture out, Kim Young Gap Gallery Dumoak, Haevichi Country Club, Pyosun Beach are just some of the attractions available to visitors. Gomangnandol Pension offers impeccable service and all the essential amenities to invigorate travelers. A selection of top-class facilities such as free Wi-Fi in all rooms, taxi service, luggage storage, Wi-Fi in public areas, car park can be enjoyed at the hotel. All guest accommodations feature thoughtful amenities to ensure an unparalleled sense of comfort. Besides, the hotel's host of recreational offerings ensures you have plenty to do during your stay. 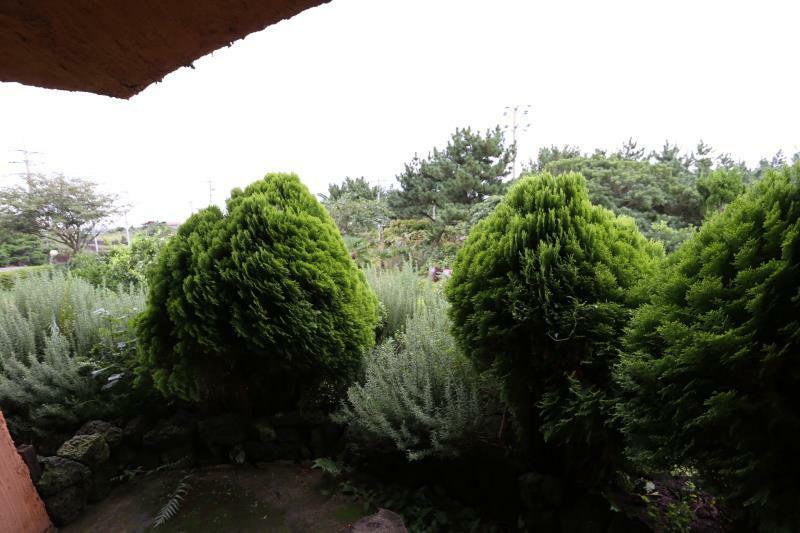 Whatever your purpose of visit, Gomangnandol Pension is an excellent choice for your stay in Jeju Island. Comfortable place, room as described. There is a bus stop right outside of the Pension if you are travelling Jeju relying on public transport. This is a small villa. The place and design is good for taking photos. The host is really really nice and provided help when I needed it. However, it's 44km away from airport. If you go by car, it is ok. If you intend to go by bus, it is also ok cuz it takes less than 2 minutes to go to bus station. The weak point is that it is quite isolated as villas should be. Thus, you have nothing near by to explore at night and buses may be close at 9:30pm. ...was the reason why i chose to stay here. but you need to be driving, location of this place is in the middle of nowhere. Have season flowers. Nice owner. Gomangnandol located near main road. Just if you find the place at night might have difficulty a bit because the road is dark. 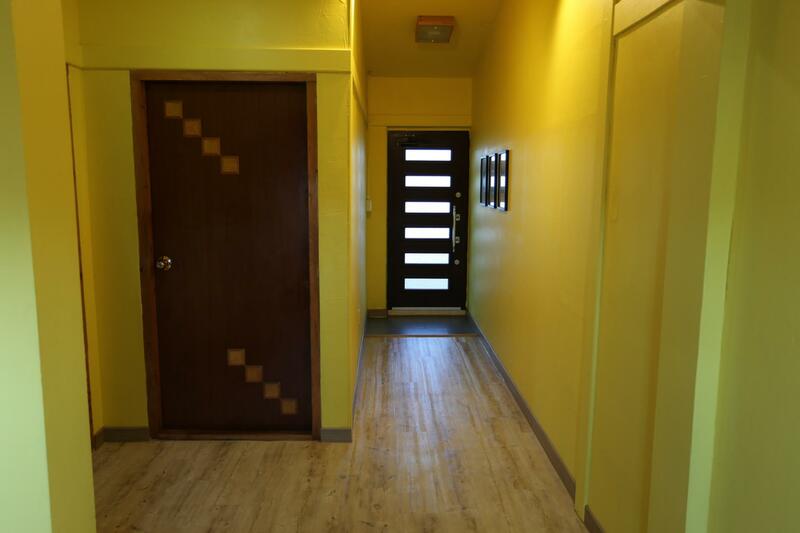 overall it very pleasant stay, the owner is helpful and kind. Help me to carry my heavy bags to the car. 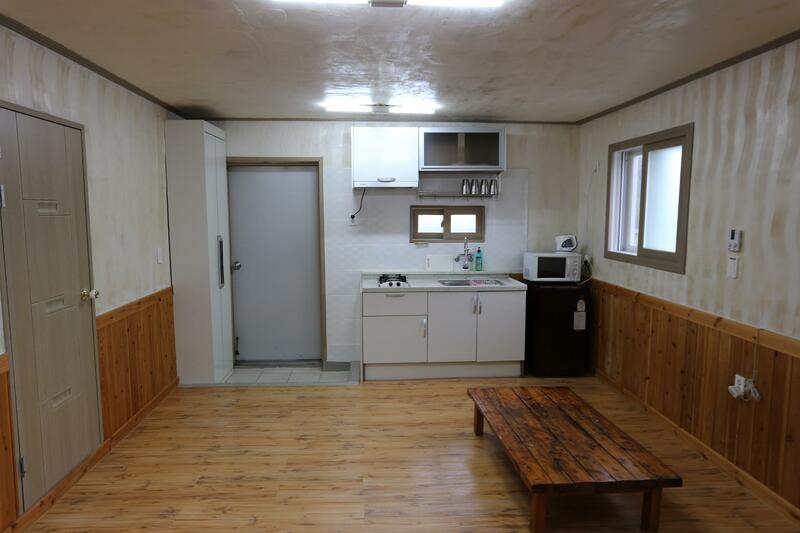 location are great, near to Seopjikoji and Seongsan. just 10-15 min driving. The place is quite remote. We had a problem finding the place initially as phone number found online is not accurate. Luckily we know a bit of Hangul and found it by name. It's about 30 mins drive to SongSanIlChulBong and SopjiKoji but very far to other attractions. We suggest you to stay a night here for the 2 attractions (if you are going) and switch to other place nearer to other attractions. Otherwise you are wasting time driving and petrol is expensive. Hence do not worth the savings you get from paying lesser here. Please do check the water heater before you take your shower (especially during cold seasons). Our heater is faulty until we sought help from the owner. Bring your own water as no water machine is provided here and you need to boil your own hot water. Nevertheless, we enjoyed the ondolbang and we love the small garden in the front yard. The pension is located along highway 1132 and you may miss it without a GPS while driving, especially at night. Due to its remote location, there is nothing else around the area. The nearest town is Pyeonseon new town which is about 8min car ride southward. That is the only place for dining nearby. Room seems a bit old but is clean enough to stay. Wifi is available for free and signal is strong. The bed warmer is a good thing to have during cold period. Shower temperature is inconsistent so be prepared. Staff can't speak English well. Guest kitchen seems hardly in use but is definitely functional. Our stay in Gomangnandol Pension was only 4-5 hours. We checked-in around 12am and had to leave before 5am for sunrise viewing at Seongsan Ichulbong. The only con we experienced was that the shower temperature was really erratic. That was very disappointing especially when the weather outside was below 10 degrees. Other than that, everything else was ok. We checked-in very late and the owner managed to receive us after waking to the car brake screeches. However, this place may not be easy to find unless you drive or take taxi. Nonetheless, the pension is only 15 mins drive away from Seongsan Ichulbong peak. We check-in late, owner wait us arrive and guide us to the room. We surprise to have this kind of big room. The location is not the best, but if good if you drive in JEJU. I would recommend this pension for people with car, as it is a little bit outside of the major towns. It is perfect for romantic getaway. 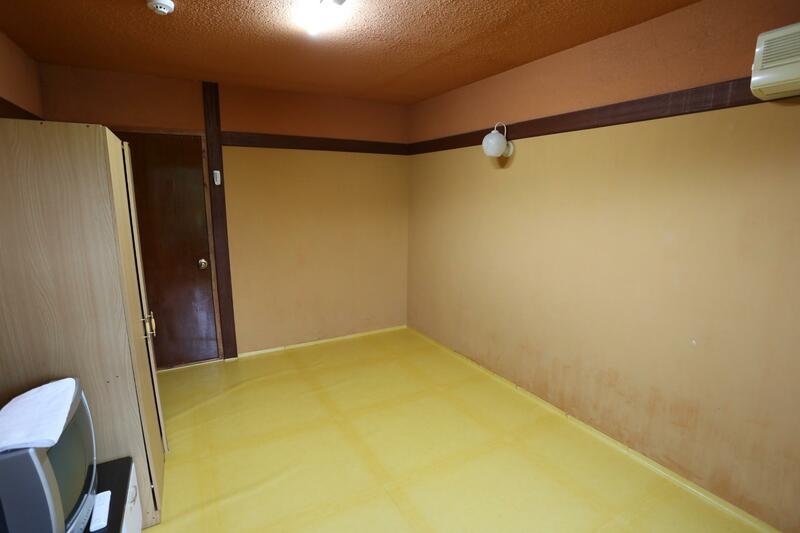 There is a common kitchen and a barbecue place outside the kitchen. The owners do not speak a lot of English, but it was not a problem for us, as we have lived in Korea for 2 years prior this trip. We decided to take the risk on staying in this hotel that contains very limited photos & no review on room conditions. The main reason to choose this pension because it's just 10 minutes drive from sunrise peak and east coast (Sopjikoji) of Jeju island. Comparing to other hotels that within walking distance to the sunrise peak, this is a cheaper alternative if you're renting a car for sightseeing in Jeju island. We're so glad that we've made the right choice! Hotel building itself is artistic, appeared like a typical stone house that is common in the ancient history of Jeju island. Rooms are big and equipped with TV, clean bathroom, high pressure hot shower, refrigerator, speedy internet, wardrobe, mirror. There's air-conditioner in the room but it was not allowed to use. However, since the hotel is located at countryside area, the night breeze is more than sufficient to cool down the room. There's also a public kitchen containing cooking utensils for everyone to use. Although the owner doesn't speak much english, but he tried his best to answer our enquiries patiently. In conclusion, we felt glad to had booked this place for a night stay before visiting the sunrise peak next morning. Highly recommend to those who will be renting a car for sightseeing in Jeju island. P/S: Do consider to rent a car if you going to stay in Jeju island. Public transport is not convenient enough to drop you on your favourite spot, especially the tourist spots is quite scattered around the island. 도착하자마자 의외로 깨끗하고, 훌륭한 정원에 팬션 선책을 잘했다고 생각함. 주인도 친절하고 주변에 대해 설명을 잘 해 주었음. 아이들 셋을 데리고 갔음에도 친절히 맞이하여 주셨음. 렌트카를 하지 않았음에도 버스가 20분 마다 있어, 서귀포, 표선해수욕장으로 이동을 잘 할 수 있었음. 조용함을 원하는 가족에게 좋다. Great location for those who want remoteness. Bus stop is very close by. Stop every 20 minutes. We were quite satisfied even without rent car. 가격 대비 나쁘지 않습니다. 객실과 화장실은 나쁘지 않은 수준입니다. 사장님 부부가 친절하셔서 좋았습니다. 저렴한 가격에 제주도 토종 식사를 제공하고 있는데 먹어보지 않아서 평가할 수 없네요.